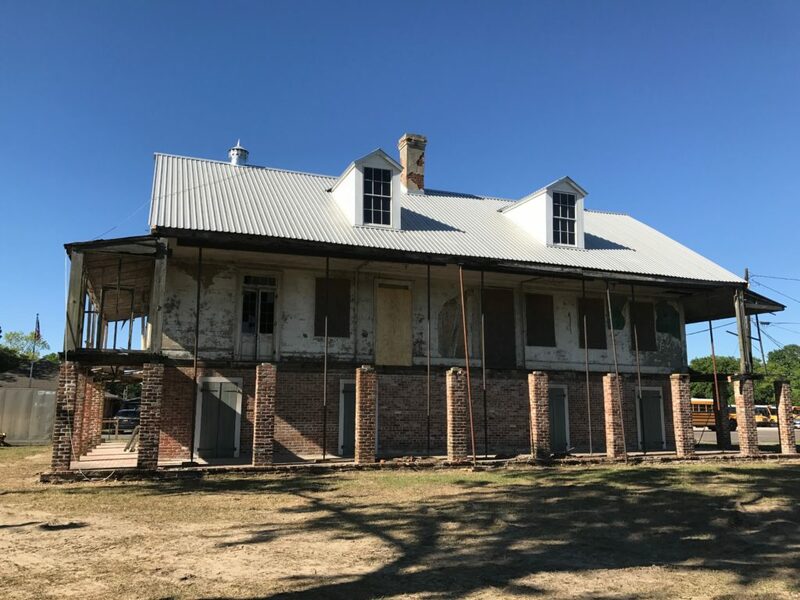 Over the past year, the Godchaux-Reserve House Historical Society has made great progress with restoring the badly worn home that was once a hub of the St. John the Baptist Parish’s 18th century sugar industry. Stephen Guidry, president of the society, worked with Eddie Duhe of Double E Construction to stabilize the house and lay a new roof, securing all openings from the elements. The society also worked with Ronnie Falgoust and Steve Luminais to install windows in the walls to allow for viewing of brick between post, mud, and moss construction and other early framing techniques.